Upgrade your game with the CP Invert Mini Roller Bearing Trigger. The CP trigger uses spring return instead of the stock magnet return. 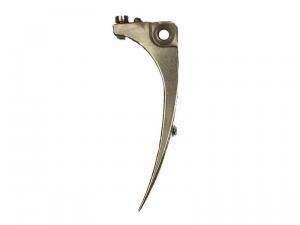 This provides a much more consistent and smooth pull and return than the stock trigger. Also, the trigger uses a precision roller bearing to ensure the smoothest trigger pull you can get.